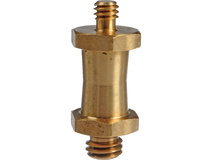 Product #1297 | SKU MF035 | 0.0 (no ratings yet) Thanks for your rating! 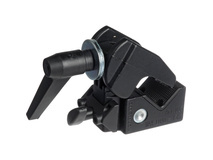 Manfrotto 133B Joining Arm for Super Clamps, Black - 6.5"
The Manfrotto Super Clamp is made of lightweight cast alloy. The Super Clamp is a very versatile tool and it holds just about anything: cameras, lights, umbrellas, hooks, shelves, plate glass, cross bars, even other Super Clamps. 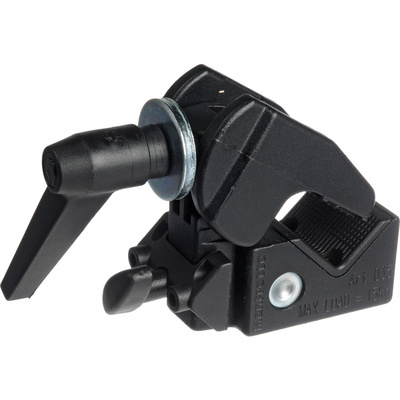 In turn, the Super Clamp can be securely mounted on any tube from 13 mm to 55 mm and is supplied with a unique wedge insert for clamping onto flat surfaces. A built-in socket allows the use of over 30 attachments to hold anything from backgrounds to lighting fixtures.